A workshop on Directions in Statistical Computing, emphasizing the development of software systems and computing environments for interactive statistics. This conference follows on from the successful DSC 1999, 2001, and 2003 conferences at the Vienna University of Technology and DSC 2005 at the University of Washington in Seattle. The workshop will focus on, but is not limited to, open source statistical computing and aims to provide a platform for exchanging ideas about developments in statistical computing (rather than 'only' the usage of statistical software for applications). Corner of Wellesley Street and Princes Street. 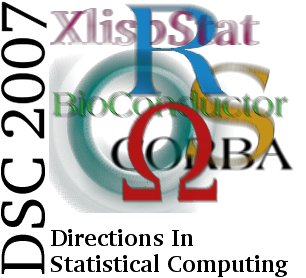 All presenters at DSC 2007 are eligible to submit an article for the DSC proceedings, which are to be published as a special issue of the journal Computational Statistics. If you wish to submit an article, the deadline is March 16 2007 (one month after the conference). Please use the normal submission facilities for Computational Statistics. Submissions should be limited to 8 pages and should be marked as a "DSC proceedings" submission (there is a "note to the editor" field for this purpose). All prices are in New Zealand Dollars (NZD)! Partners are welcome at the Conference Dinner, but this will incur an additional fee of $50 (payable on-site). The New Zealand Statistical Association has provided NZ$500 to support travel to the DSC conference by resident NZSA members. The allocation was based on merit and need; preference was given to early-career researchers or graduate students, and attendees who also submitted an abstract. The Bioconductor Foundation has provided US$1500 to support travel to the DSC conference, with priority given to contributors to the Bioconductor project. The National Science Foundation may provide some support for travel and accommodation for graduate students and junior faculty at U.S. post-secondary institutions. The allocation will be based on merit and need; women and minority candidates are encouraged to apply. If you wish to apply for financial support, please send an application to dsc2007@stat.auckland.ac.nz by February 2nd (2007-02-02) (include a brief CV and a statement that demonstrates your eligibility, your need for support, and an amount of support required - students should include the name of their supervisor). Successful applicants will be notified by email shortly after the Feb 2 deadline. Looking for last minute Auckland accommodation? 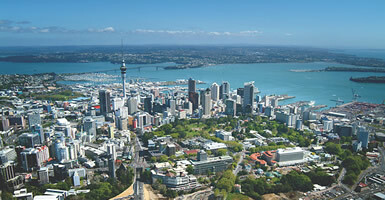 Deals on Auckland hotels, Auckland motels and more can be booked online with Ezibed.com. Some group rates have been worked out for accommodation. 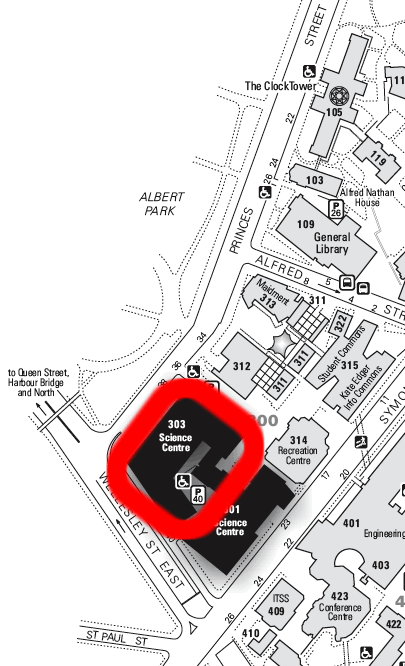 Consult the map to see where the accommodation is in relation to the conference venue. Serviced Apartments. 52 Eden Crescent. Studio Apartment: $115/night. 1 Bedroom: $129/night. 2 Bedroom: $178/night. These prices exclude GST of 12.5%. Hotel. 196 - 200 Quay Street. University Rate: $125/night (subject to availability). Quote group booking number 196923 for this rate. This price excludes GST of 12.5%. Single Share: $35/night (shared facilities). Private Ensuite Room: $80/night (private facilities). This price includes GST of 12.5%. Sandwiched between two harbours, Auckland offers bright and sunny yet quickly changeable weather in summer. 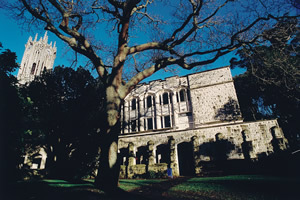 View NewZealand.com for more information and activities in the region. February has a mean of 201 hours monthly sunshine, and a mean of 19.8 degrees Celsius monthly temperature. The simplest way is to take a taxi belonging to a reputable company (either Alert Taxis or Auckland Coop. Taxis). Cost is about NZD 50 to Downtown Auckland. The cheapest way is to catch the Airbus. This regular service in the blue buses will take you from the airport to the Downtown area, stopping at most hotels on the way.